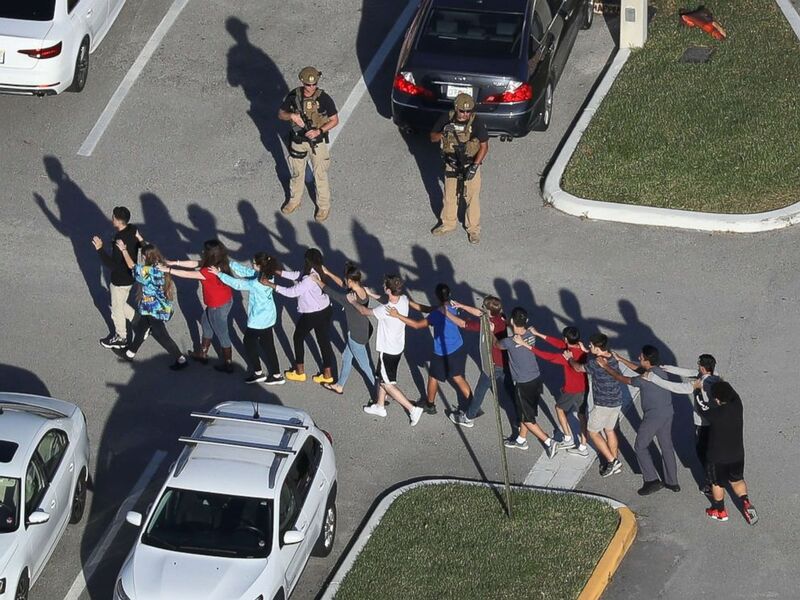 The alleged gunman in the Valentine's Day massacre at Marjory Stoneman Douglas High School in Florida wants to give any inheritance due him from his late mother's estate to the victims' families or an organization that will help the community heal, his attorneys said Wednesday. Nikolas Cruz, 19, appeared at a hearing in Broward County Circuit Court in Fort Lauderdale to determine whether he is truly indigent or if he stands to collect up to $800,000 from his late mother's estate and various other financial accounts in his name. It was previously determined that Cruz could not afford his own attorney and the Broward County Public Defender's Office was appointed to represent him. Judge Elizabeth Scherer is attempting to determine if the public defender's office should be dismissed from representing Cruz if he has the means to afford a private attorney. Nikolas Cruz is escorted into the courtroom for his arraignment at the Broward County Courthouse March 14, 2018 in in Fort Lauderdale, Fla. Since his arrest on Feb. 14 in the killing of 17 people at the Parkland, Florida, high school, information has surfaced that Cruz might stand to inherit a small fortune. "Just so the court is aware, Mr. Cruz does not want those funds," his attorney, Melissa McNiell of the public defenders office, told Judge Scherer during the hearing. "He would like that money donated to an organization that the victims families believe would be able to facilitate the healing in our community." Later in the hearing, Broward County Public Defender Howard Finkelstein told Scherer "whatever monies the defendant doesn't want, let it go to those who have been hurt, period." But it remains unclear whether Cruz does have any funds from his mother's estate coming to him. 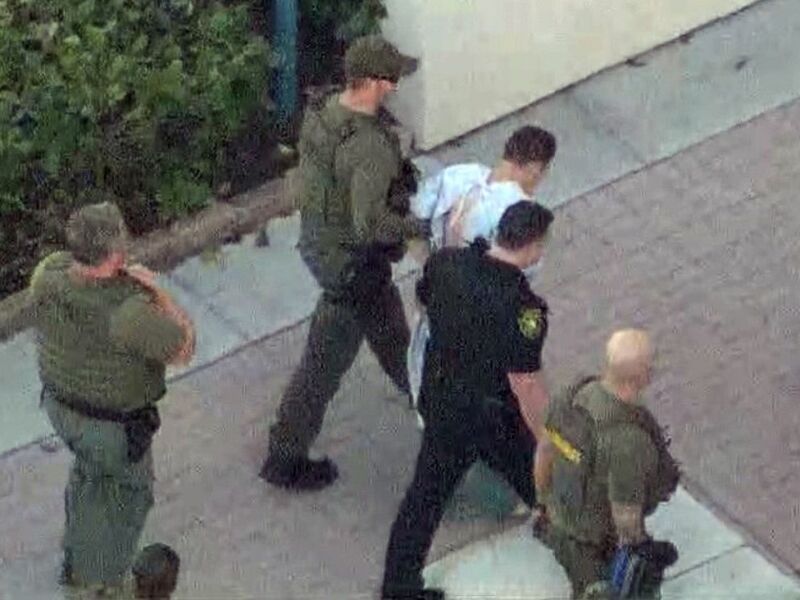 Nikolas Cruz, the suspect in a shooting at Marjory Stoneman Douglas High School in Parkland, Fla., is escorted into a police station, Feb. 14, 2018. McNiell said research her office has done shows Cruz has a Wells Fargo bank account with a balance of $353. She said he also has a Microsoft stock certificate worth $2,227, and a commissary account at the Broward County Jail with a little more than $650 in it. 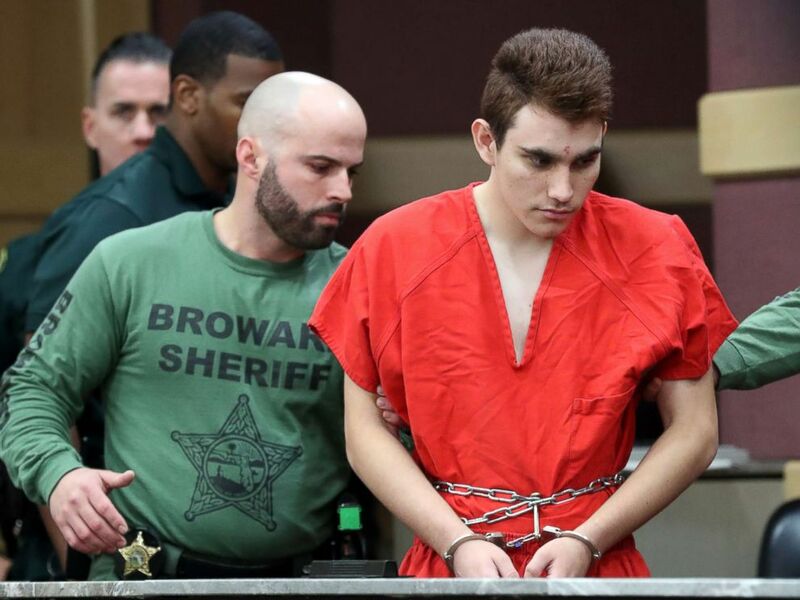 His mother, Lynda Cruz, died Nov. 1 after contracting the flu, leaving an Allstate Life Insurance policy in which Nikolas Cruz possibly stands to collect $25,000, Finkelstein said. McNeill said Cruz's mother may have also left an annuity behind, but it remains unclear how much it's worth. She said $3,333 from the annuity was deposited into a checking account Cruz had access to just prior to his mother's death in November, but no similar deposits have appeared since. Finkelstein said if such annuity deposits were to be made to Cruz's account monthly, he stands to reap up to $800,000. "It is my understanding there has been a delay in the administration of the estate that it is ongoing," McNeill said. "Mr. Cruz is, in fact, potentially a beneficiary of those funds. However, there have been multiple claims already filed against the estate of Lynda Cruz and there are multiple lawsuits that have been filed against Mr. Cruz." She said the public defender's office cannot help Cruz get access to the funds. "We represent Mr. Cruz's interest as it relates to the criminal matter and we as a public defender's office do not exchange or interact with our client's funds in any manner," McNeill said. Cruz's younger brother, Zachary, who stands to share in the inheritance, attended Wednesday's hearing, but did not speak. Finkelstein said that given what his office currently knows about Cruz's finances, it would not be enough to hire a private lawyer to defend him against capital murder charges the prosecution has filed in the case. "I think it's very important that you also consider that if you remove our office at this moment right now, in the highest profile case in America, the defendant is going to be left without a lawyer," Finkelstein told Scherer. "From that will flow a myriad of legal problems, some for the defendant, some for the state, some for the court and some for the appellate courts." Scherer said she will make a decision in the case by April 27. Finkelstein repeated an offer he made shortly after Cruz's arrest that the defendant is prepared to plead guilty to the charges in exchange for consecutive life sentences. "We are prepared to do it today," Finkelstein said, prompting prosecutors to raise objections. "OK, that's not what we're here for," Scherer said.